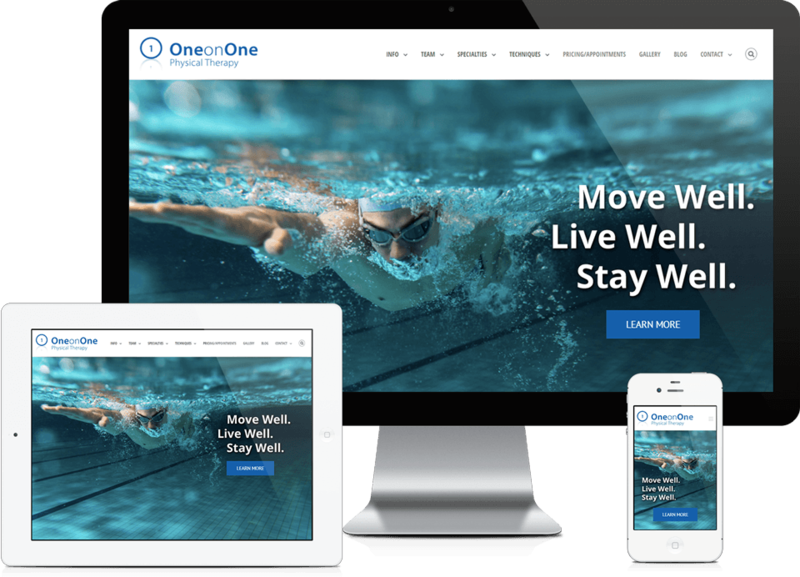 One on One Physical Therapy, believes that the needs of every patient must come first and wanted to acquire more patients with a new Inbound Marketing Website Design. Pain disrupts your life. One on One will help you eliminate your pain and return to an active, productive lifestyle – AND they will do it with compassion. Unlike the typical physical therapy practice, One Therapy’s patients experience private and individualized treatment, One on One. They evaluate the whole person while focusing on the area of injury to achieve the ultimate goal of total body wellness.